A keyboard hack that turns the chip inside into a cardboard controller. A and D keys are used in this projects since there are similar to Left Key and Right Key in many games. 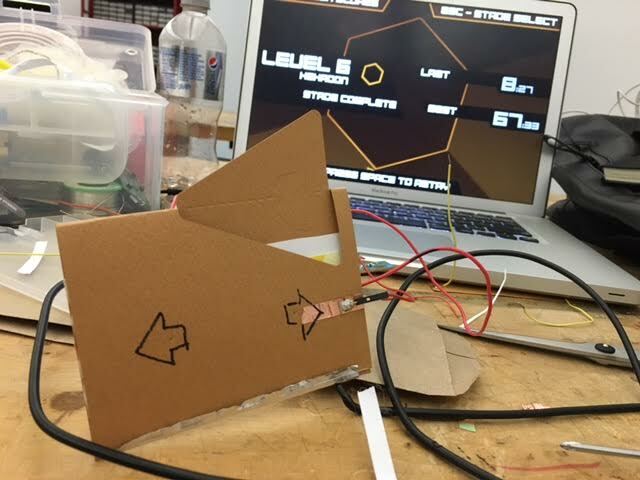 This entry was posted in Week 3: Switches, Sensors, & Keyboard Hacking, Workshops on September 29, 2015 by wangl073.